Valentine’s Day and its gifting options change as we grow. While it is all about small gifts when you are young and a bit more materialistic things when your love is new. It moves to experiences, being comfortable around each other and enjoying the company while being in your skin is what matters as you mature. Many a times you are either stumped about what to gift to your loved one or you just don’t see a reason to buy another of those stuffed toys! Another aspect to this is the earning capacity of both the partners. Nowadays with both of them earning and buying things when they want it or like, gifting isn’t about buying something that they need or like. Now is the time for experiential gifting! Listed below are a few unique ideas that will help you decide an experiential Valentine for your loved one. Breakfasts in Bed – There are a lot of food delivery sites that offer gourmet products at your doorstep. Order some with those 2 hours delivery options and make a wonderful breakfast to surprise your loved one! Right from gourmet breads and cookies to pasta sauces and cup cakes, you can re imagine breakfast in bed and celebrate your Valentine’s day. Flowers never go out of style – Online deliveries of exquisite flowers have added a new dimension to flower delivery. You can add a special note, choose the kind of flowers and even add a small gift like a teddy or cake to it. The flowers will surprise your beu, especially when you never left their side! Book an experiential holiday – While travel to exotic locations within India and abroad need a bit of planning. You can look for experiential holidays over the weekend and enjoy your time together. You can go camping, star gazing, hot air balloon ride or even watch special festivals like the Olive Ridley turtle festival. Visit a Food Festival – If food and flea markets are your thing, visit the food festival in your town. Check out for world cuisines. You can even look for food trucks that bring eclectic cuisines to your plate. There is a food truck area near vimannagar in Pune. Find a similar one and have a bite under the stars in the most casual way! Outdoor Movie Experience – Book an outdoor movie experience and enjoy a romantic night under the stars. Sunset cinema club in Pune has a special valentine’s day screening from 14-16th. If you haven’t planned anything yet, check this out! As you mature in love, you move away from material gifts. It is the companionship, sharing and just being together that matters. I am sure you loved these experiences. Have you ever tried something unique on Valentine’s Day? Do you have some similar ideas to share? Do comment below! This will be helpful for the couples to get more “us time”! I am a person who doesn’t like to spend a dedicated day for valentine! I have been brought up in an environment where each and every day Must be day of love! I am not against the people who celebrate it! But this list is surely helpful for “Us time” for sure! It is Valentine’s day finally! I am choosing a movie as it is a weekend tommorow here in UAE and this will be so good for us. Very thoughtful and non cliched ideas Neha, Sober and for a purpose buddy. A food festival visit and catching a movie show with your partner are interesting ideas for this Valentine’s Day. What lovely ideas to make Valentine’s day special, flowers and chocolates are cliches now especially when you have spent more than a decade together. Thanks for sharing. Idea of outdoor movie and trip to food festival sounds great. These are some great and very lovely ideas…I love to go for trip to food festival ..Thanks for sharing!! Some very good ideas. The experiential holiday is something I would like to do sometime. Lovely ideas neha.. breakfast in bed is a really romantic idea.. Flowers and chocolate too works great. 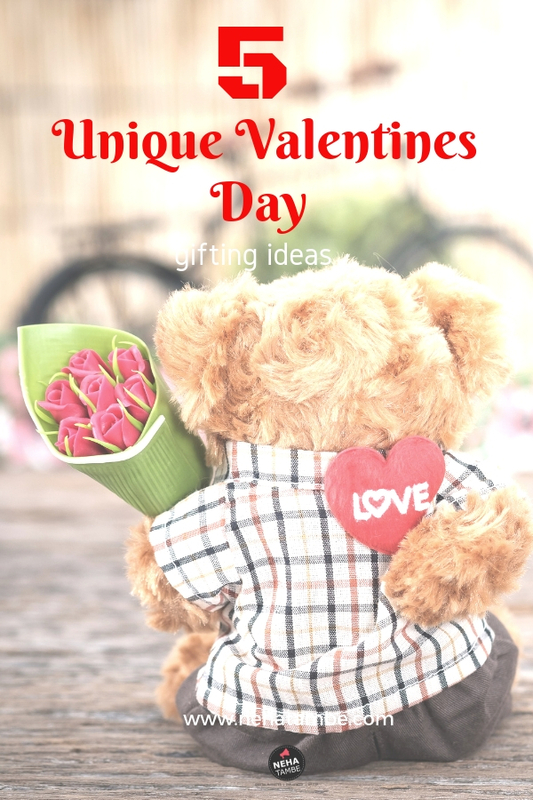 These are lovely ideas you have shared for Valentines day. I baked some goodies for my man.